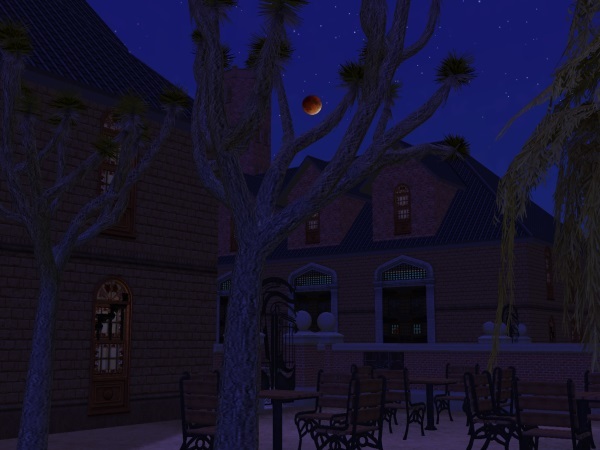 If you guessed the Hood Building Group is going to upload a custom university subhood for MTS's current monthly theme (College Living), as well as the world's monthly theme (Spooky, Halloween) - then you guessed correctly. 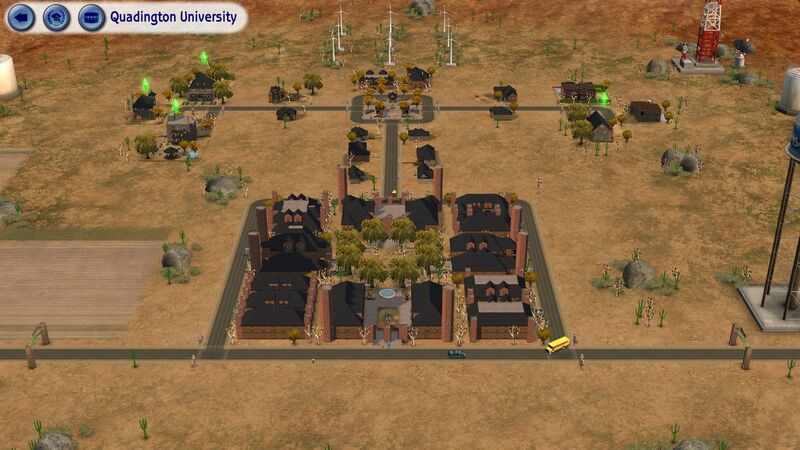 It's here - Quadington University, a creepy zombified university for your 'hoods! "Quadington University is not the university it used to be. It's been a while since someone graduated here. This place used to be popular. It was full of students! Sometimes it had too many students and the university often got crowded but then something unexpected happened. Something that changed Quadington University forever! Nobody knows what exactly happened, but many students wanted to flee. Since then, Quadington University got forgotten and became a ghost town. It's still a ghost town and it's not even recorded on any map! 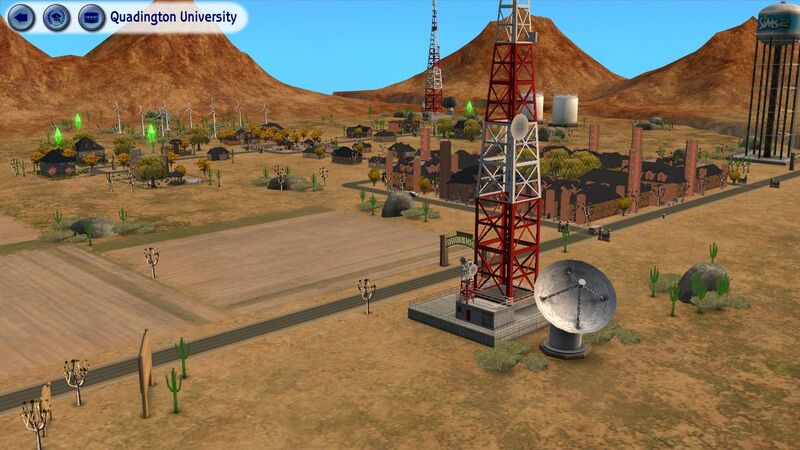 Will your sims manage to study in such a university, in such a ghost town, in such a dead place and in such a loneliness or will they freak out and cry for another university?" 1. Put the folder QU01 or QU02 into your "Documents\EA Games\The Sims 2\Neighborhoods folder. 2. You will have to copy the contents of the Storytelling folder into your "Documents\EA Games\The Sims 2\Storytelling" folder in order for it to function properly. Later EPs do not have this requirement. 1. 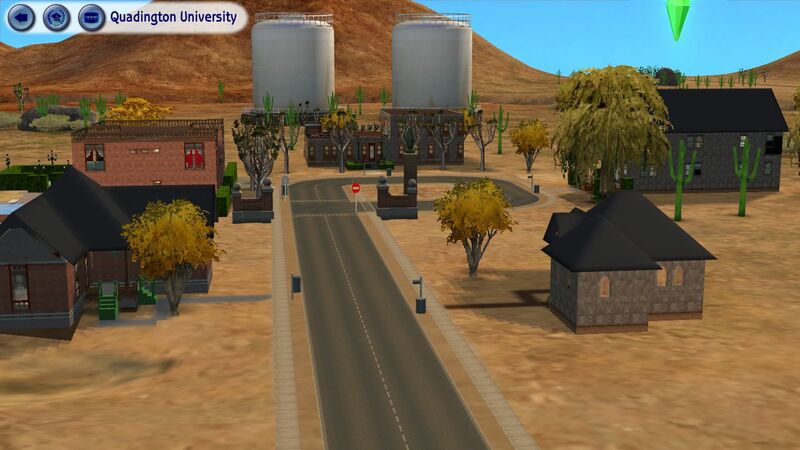 Put the folder UQU1 or UQU2 or UQU3 into your install location\The Sims 2 University\TSData\Res\NeighborhoodTemplate folder. 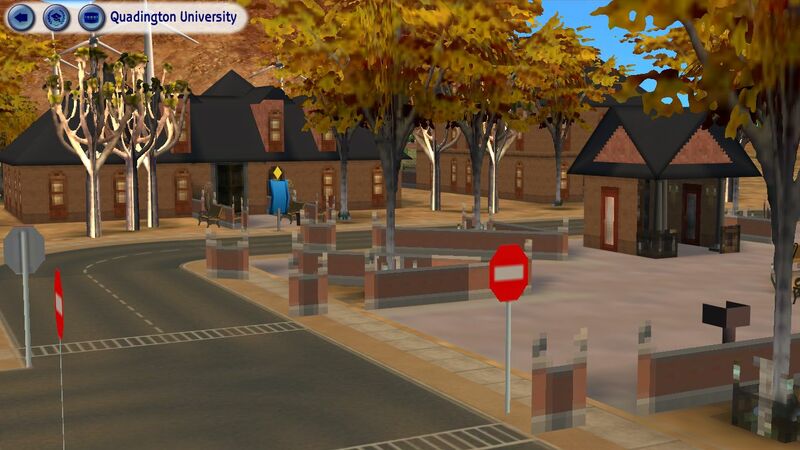 However, if you don't have Pets or a later EP/SP installed, the subhood display will only shows 3 universities (EA's standard universities) so you won't see Quadington University in the list. 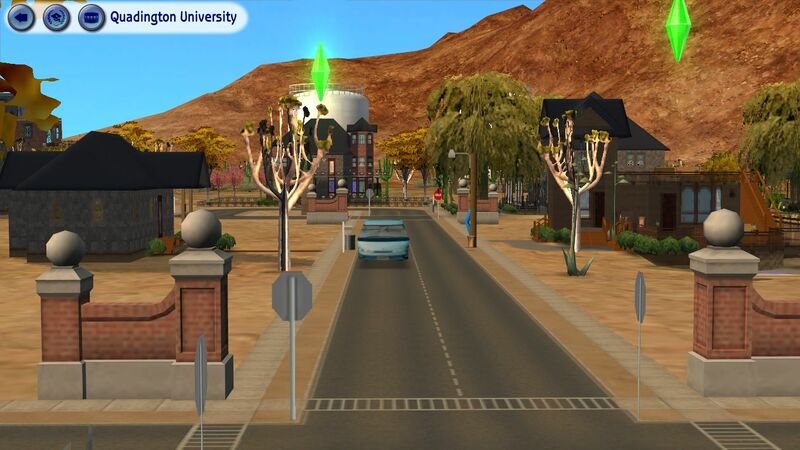 You can temporarily remove one of EA's university subhoods (U001, U002 or U003) from the NeighborhoodTemplate folder and move this subhood in there. It doesn't matter which university subhood you remove. Anyway, you should see Quadington University in the list now. 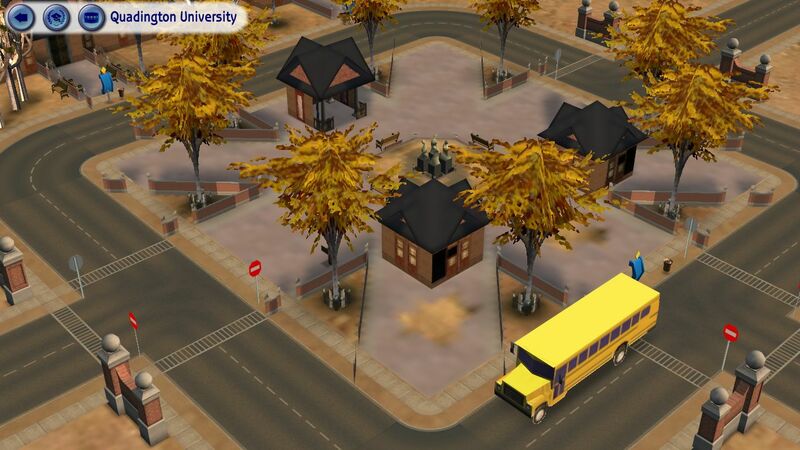 Add the university subhood to your neighborhood as you would usually do. Now quit the game and restore the university subhood (U001, U002 or U003) that you have temporarily removed and you're done! 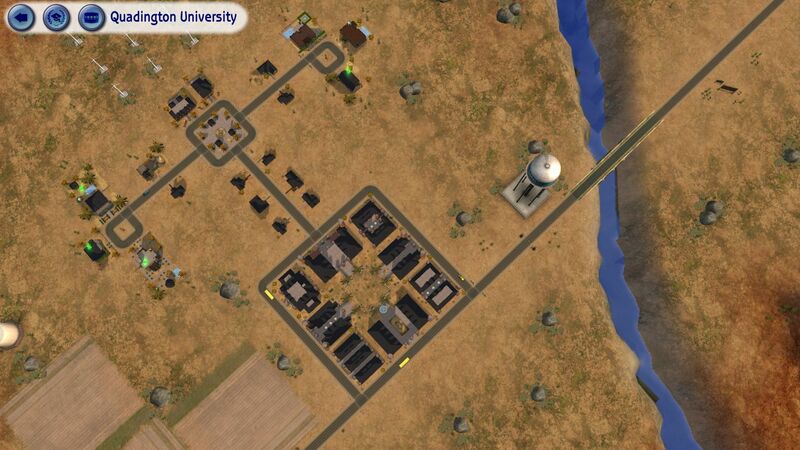 Quadington University has been created with Numenor's AnyGameStarter with no Maxis content, so there aren't any townies or any NPC. 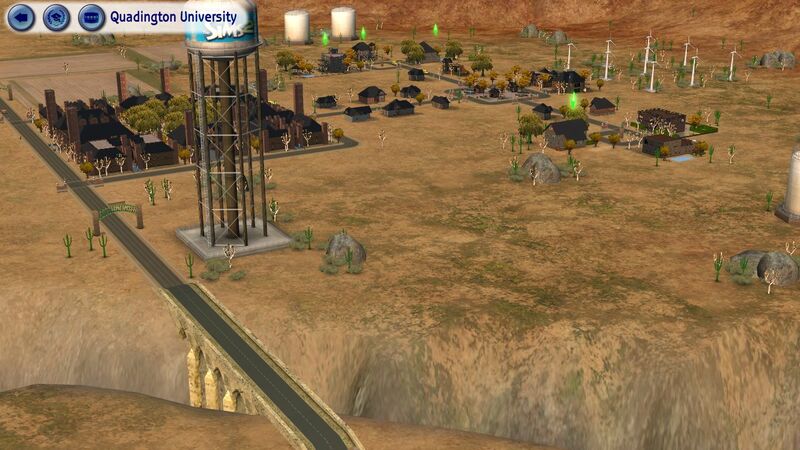 But shouldn't a TS2 university have dormies, professors, llamas, cows and cheerleaders? If you want to read more about the individual dormies/NPCs, look at the comments of this thread. Quadington University consists of 6 households. Two of them live in a Greek house, one of them lives in a dormitory, one of them lives in a normal house and the other two households are still in the family bin and it's up to you where they're going to move in. Each household should have 5 photos in their family album. If you want to read more about the individual households, look at the comments of this thread. Oh and, everyone in the neighborhood is a zombie! Also the NPCs sims if you download the dormies/NPCs version! By default, there's no way to cure zombies but there are mods that allow that, so if you don't like zombies or if you had enough, you could download Smonaff's Dezombification Potion or other mods that can cure zombies. 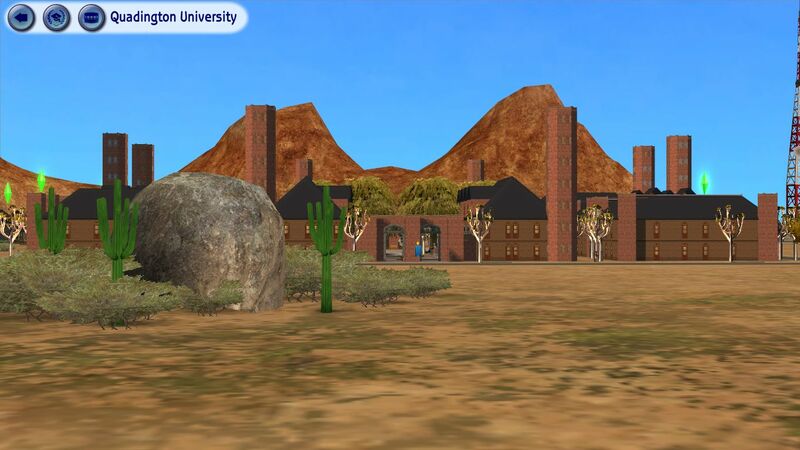 Quadington University uses a custom SC4 terrain. But there's no need for a camera mod - you'll see all of the lots with the default camera. Speaking of lots, there are 28 lots in total; 12 of them are community lots, 10 of them are residential lots, 3 of them are dormitories, 2 of them are Greek houses and one of them is a Secret Society lot. If you want to read more about the individual lots, look at the comments of this thread. One of them is a primary 'hood and it's base game compatible and doesn't require any EPs. The other version is a university subhood and requires University EP in order to work. Both of the versions don't have any CCs in it, as usual. Oh and feel free to post your stories in threads like What did you do with the Quadington University characters?. As always, stay tuned for more (secret) neighborhoods to come! 181 people have said thanks to Hood Building Group for this download.